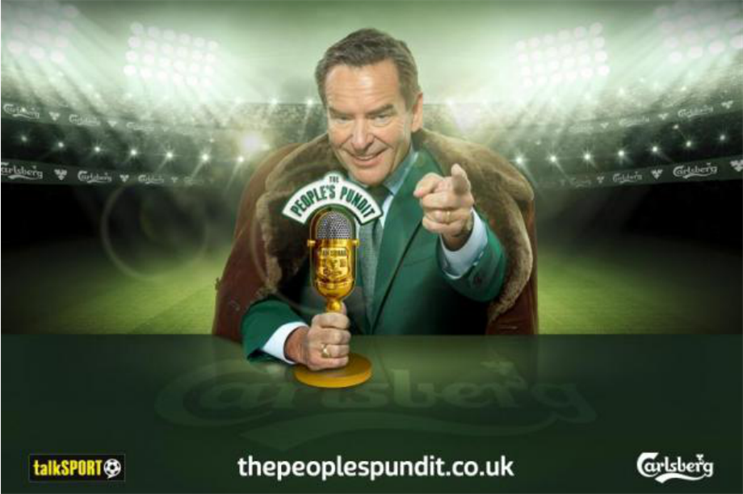 Beer brand Carlsberg has partnered with radio station Talksport to search for the 'People's Pundit' through on-trade and digital activity. The initiative will give one winner the chance to be part of Talksport’s on-air team at a Premier League football game on the last day of the season. Broadcaster Jeff Stelling will launch the search on Talksport on 26 January, kicking off a campaign that will run until May. Larger outlets will have access to branded recording booths, allowing consumers to film themselves against a Talksport and Carlsberg-branded backdrop. Members of the public will also be able to record their entry on a smart phone or webcam and upload it to Facebook, YouTube or Vimeo. From March, an expert panel will select 30 of the most impressive pundits to attend one of five semi-final events, hosted at a selection of currently unconfirmed customer venues. Here they will take part in two challenges in front of a live pub audience. The winners from the regional heats will take part in a Talksport boot camp, where the People’s Pundit will be crowned. The creative and experiential arm of the campaign is being handled by The Marketing Store. Other agencies working with Talksport and Carlsberg include More Creative and OMD. Paul Morris, Carlsberg brand and sponsorship activation manager, said: "Every football fan likes to think of themselves as a pundit – talking about the beautiful game is something of a sport in itself. Through this incredible competition, we’re giving football fans the chance to put their money where their mouth is and show they have what it takes to provide punditry alongside the professionals. "We’re delighted to be teaming up with the ultimate partner for punditry – Talksport. As well as providing a unique way to engage with our core consumers, it will drive national awareness of the Carlsberg brand and our strong links with football, including our sponsorship as official beer of the Premier League and the England team."